Rover Thomas was born near Gunawaggi, at Well 33 on the Canning Stock Route, in the Great Sandy Desert of Western Australia. At the age of 10 Thomas and his family moved to the Kimberley where, as was usual at the time, he began work as a stockman. Later in his life Thomas lived at Turkey Creek where he and his friend Paddy Tjamati broke away from the tradition of producing tribal art on canvas and instead painted landscapes on dismembered tea chests. 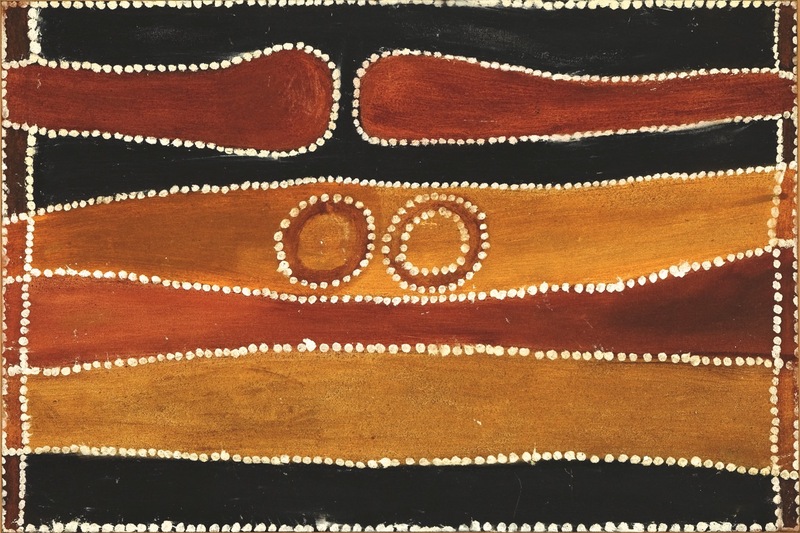 He then, in the 1970s, created the style of ochre painting on canvas, called East Kimberley School. Thomas was awarded the John McCaughey Prize in 1990 at the Art Gallery of New South Wales. Thomas was one of the two Aboriginal Australians to exhibit in the Venice Biennale in 1990, alongside Trevor Nickolls. He was the subject of the important solo exhibition Roads Cross: The Paintings of Rover Thomas, National Gallery of Australia, Canberra in 1994. This is an exhibition of contemporary art, not in the sense that it was done recently, but in that it is cased in the mentality, technology and philosophy of radical art of the most recent times. No one, other than the Aborigines of Australia, has succeeded in exhibiting such art at the Hermitage. Thomas and Emily Kame Kngwarreye were amongst the most successful Australian artists in the national and global art markets.